Successfully Added Bluetooth Headphones - Adjust Music Volume, Dual-Mode Bluetooth, 75mAh, 10m Bluetooth Range, Build-In Mic, Smart Response to your Shopping Cart. Listen to your favorite songs while you’re out for a run with these Bluetooth sports headphones. Thanks to their comfortable design, these Bluetooth headphones form a perfect fit to anybody out there. They even come with different size ear plugs to make sure they will comfortably fit any size and shape of ear. With their lightweight yet powerful 75mAh battery, these wireless headphones bring along up to 10 hours of usage time. This is enough power to get you through multiple music-filled days. Additionally, they support a stunning 200 hours of standby time. Thanks to this, you can leave them untouched for several days and use them again whenever you feel like it without needing to recharge them first. 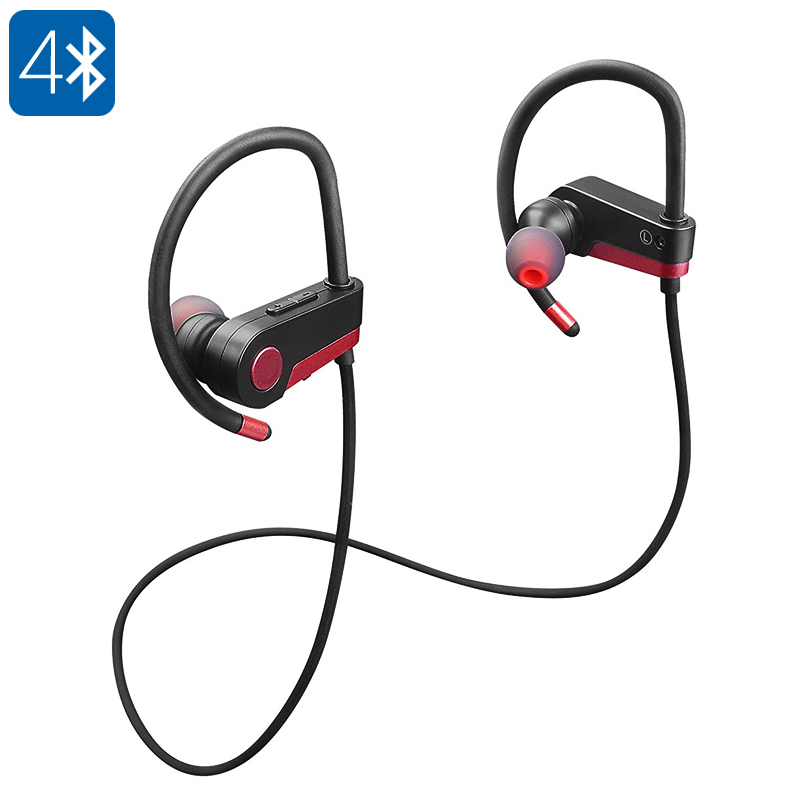 By supporting Bluetooth 4.0, these wireless earphones bring along great data transmissions. When synchronized with your smartphone or tablet, you’ll be able to listen to your favorite music without experiencing any lag. These smart headphones are capable of connecting up to two devices at once. This means that you’ll be able to switch in between the music libraries on two different smartphones without losing any time. Besides listening to music, these wireless headphones furthermore allow you to answer incoming phone calls. With its smart response feature, you can simply reject or answer a call by saying ''yes'' or ''no''. This brings along great efficiency for making hands-free calls while you’re driving your car or exercising in the gym.